If He doesn’t need your money and if He is not impressed with your abilities and is unmoved by your “sacrifices”, then what is it? What does God really want from you? As Solomon sits down to write chapter 5 of Ecclesiastes, we see a man struggling to find meaning in life. Life seems meaningless… without hope. 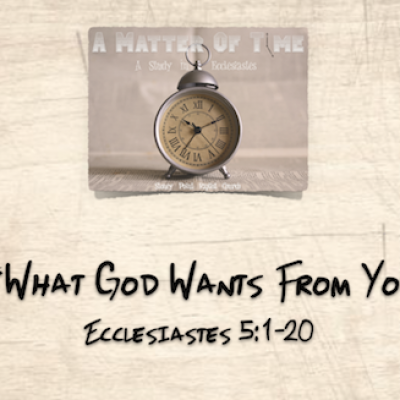 Join us tomorrow as we look at 5 things God wants us to understand regarding the value of time.